SSL certificates have always been the industry standard for authentication and security when employing web-based services on the internet. However, multi-use certificates could provide greater flexibility then what your organization is already using. 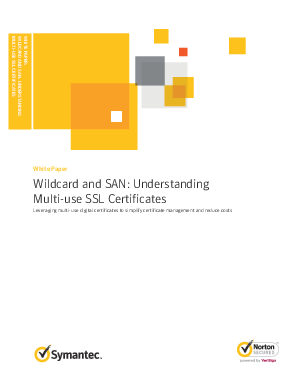 Download this whitepaper to see how and why a multi-use digital certificate is better for your organization and see how it can improve security while also reducing costs.